Ever feel like so much information comes your way that it’s hard to focus? News, sports, Facebook, Instagram, Twitter, deadlines, work and school projects…the list goes on and on. I find that when I take in too much information I often end up “stuck” and unproductive. This can happen to me spiritually. At times, if I’m going back and forth between several Bible studies and several good spiritual growth books I can’t even remember what I’m “learning”. It’s all good…but can feel like drinking from a fire hydrant. I passed this scene on my way home the other day and I felt I could relate to this stubby little fire hydrant. 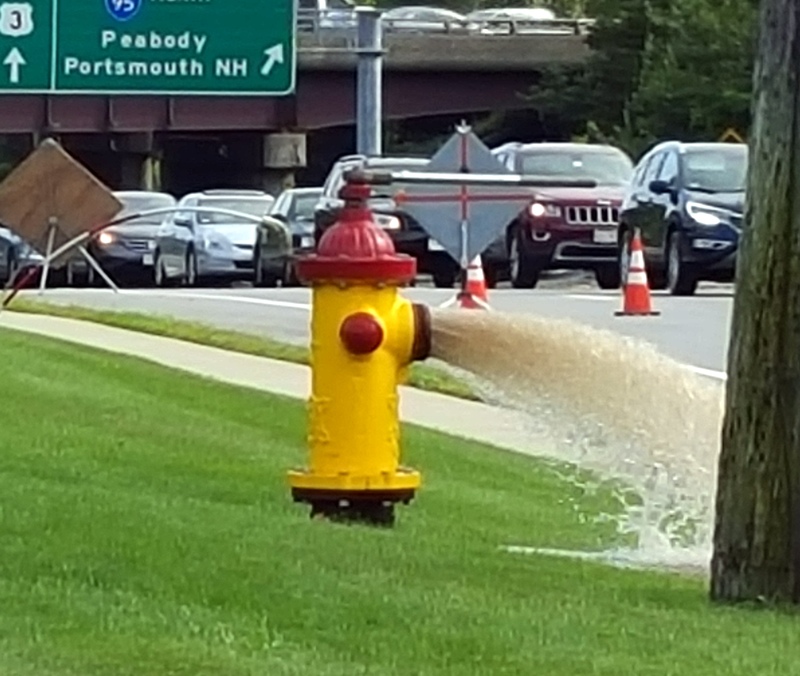 Lots of energy was being expended from this hydrant, but I reasoned that it would be useless for putting out fires. All that water was not directed enough to extinguish a fire–as no hose was attached. In fact, I don’t think the water could have even quenched my thirst. if I’d gotten close enough to try to get a drink the force of the water would have slapped me in the face. All that water was within sight and yet was not useful…remaining unchanneled. It merely left behing sloppy, muddy puddles in the road. 24 Don’t you realize that in a race everyone runs, but only one person gets the prize? So run to win! 25 All athletes are disciplined in their training. They do it to win a prize that will fade away, but we do it for an eternal prize. 26 So I run with purpose in every step. I am not just shadowboxing. 27 I discipline my body like an athlete, training it to do what it should. Otherwise, I fear that after preaching to others I myself might be disqualified. Wow…purpose in every step. That’s an upward call. Purposeful…not shadowboxing, or as the New International Version puts it…running aimlessly and beating the air. I am sure that aimless running and beating the air takes a lot of energy.The problem is that neither will get you where you need to go. My plan? A more focused approach to Bible study; less time on social media and more time in prayer; more careful planning with God’s purpose for my life at the forefront of each day; and sharing what I’m learning with others–for if I can’t put it into words, I likely haven’t digested it. Just imagine what can happen when God’s spirit becomes more channeled in our lives. Our lives will impact other lives from the inside out. I plan to take this image of the fire hydrant with me as I go through my day today…praying to be useful for God’s purposes in my life…and leaving behind something much more valuable than puddles. This entry was posted in Uncategorized by jeanieshaw. Bookmark the permalink.